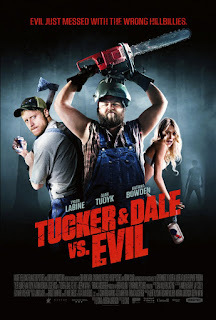 Good ole boys Tucker (Alan Tudyk : Abraham Lincoln: Vampire Hunter) and Dale (Tyler Labine: Invasion and Reaper) have their sights set on fixing up their newly purchased vacation home and a group of college students embark on a adventurous getaway in the backwoods. Unfortunately for both groups their vacations collide creating not only bad luck but also death. 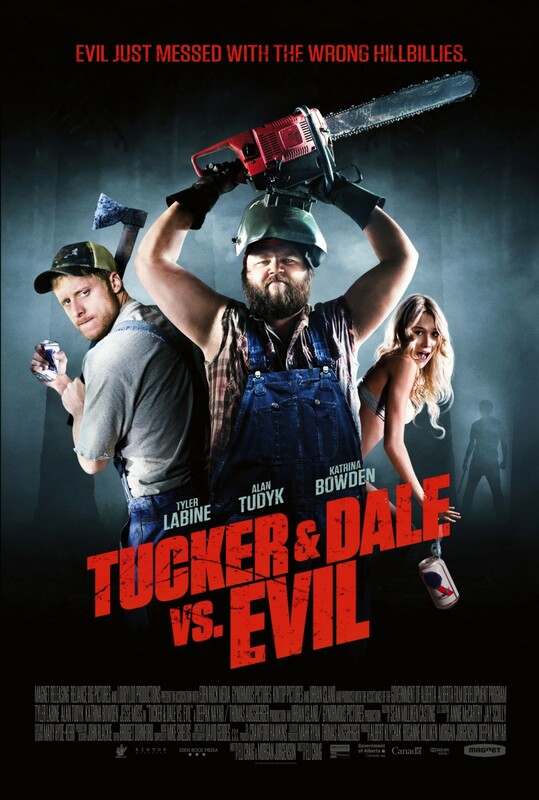 Watch as Dale and Chad (Jesse Moss: The Last Victim, the memoirs of Jason Moss and Final Destination 3) protect the one they love, while Allison (Katrina Bowden: 30 Rock) struggles with her inner self. 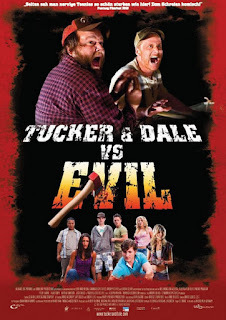 Can Tucker and Dale survive the onslaught of deranged killers and can the college student make it back to class? First and foremost if you haven’t seen this movie stop reading and either rent it, buy it or view it on Netflix. TDvE perfects the cross genre themes of comedy and horror. Unlike Shaun of the Dead – this movie smoothly flows in and out of the genres seamlessly. The director and producers have created timeless masterpiece in this Canadian film. The visuals and effects were top notch and the acting was incredible. 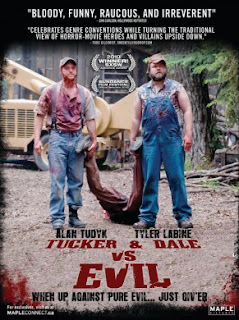 Hats off to Tudyk and Labine for playing country boys without turning the characters into what mainstream media perceives as hillbillies. 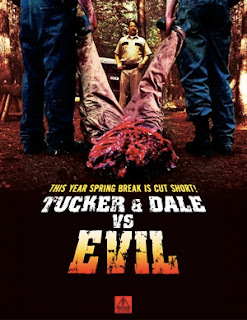 What’s even more amazing is the fact that this movie is consider an Indy film – when it destroys every other horror film released in 2010-2011. No matter what your favorite movie type is – I think you will leave this movie satisfied. Even if the horror side isn’t up to your standards and the comedy isn’t your forte – there is no way you can be disappointed with the hotness of one Katrina Bowden. Watch It ! Love It! Buy It!